20 Years in Print Winner of the National Book Award Dazzling --Publishers Weekly, starred review Heartrending --The Horn Book, starred review Brilliant --School Library Journal, starred review Engrossing --Kirkus Reviews A joyful, eerie tour de force --The Boston Sunday Globe Wil... read full description below. 20 Years in Print Winner of the National Book Award Dazzling --Publishers Weekly, starred review Heartrending --The Horn Book, starred review Brilliant --School Library Journal, starred review Engrossing --Kirkus Reviews A joyful, eerie tour de force --The Boston Sunday Globe Wildly inventive --The New York Times Book Review Stanley Yelnats's family has a history of bad luck, so he isn't too surprised when a miscarriage of justice sends him to a boys' juvenile detention center, Camp Green Lake. But there is no lake--it has been dry for over a hundred years--and it's hardly a camp: as punishment, the boys must each dig a hole a day, five feet deep, five feet across, in the hard earth of the dried-up lake bed. The warden claims that this pointless labor builds character, but that's a lie. Stanley must try to dig up the truth. 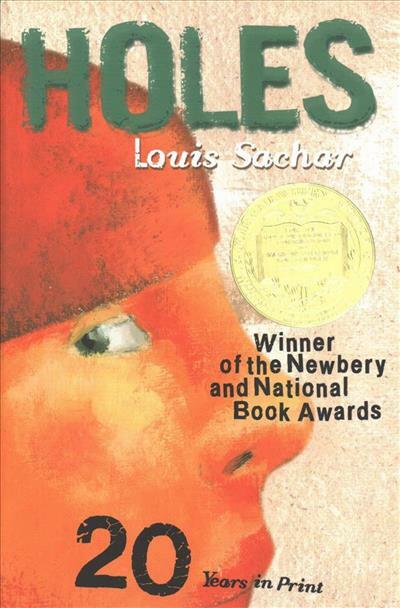 In this wonderfully inventive, compelling novel that is both serious and funny, Louis Sachar weaves a narrative puzzle that tangles and untangles, until it becomes clear that the hand of fate has been at work in the lives of the characters--and their forebears--for generations. It is a darkly humorous tale of crime, punishment, and redemption. 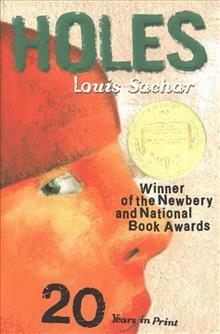 LOUIS SACHAR made history with Holes, which won every major children's book award and was turned into a movie. He lives in Austin, Texas.